Rugelach is one of my favorite cookies! Perfect for any time of year! We especially love to make these cookies for the Holidays! A light and flaky pastry rolled cookie filled with any jam or preservatives of choice. A classic Jewish cookie that is absolutely delicious! Okay, so here it is! I have said everything in moderation! I eat really healthy most of the time and every now and again a treat is necessary! Rugelach cookies are one of my favorite treats! I have been making this for about 24 years and is truly a Holiday treat that is just so delicious! So to honor my beautiful son, I am sharing this wonderful Rugelach recipe with you all! I hope it becomes a favorite for everyone! This is a rich cookie with a wonderful sour cream pastry dough! 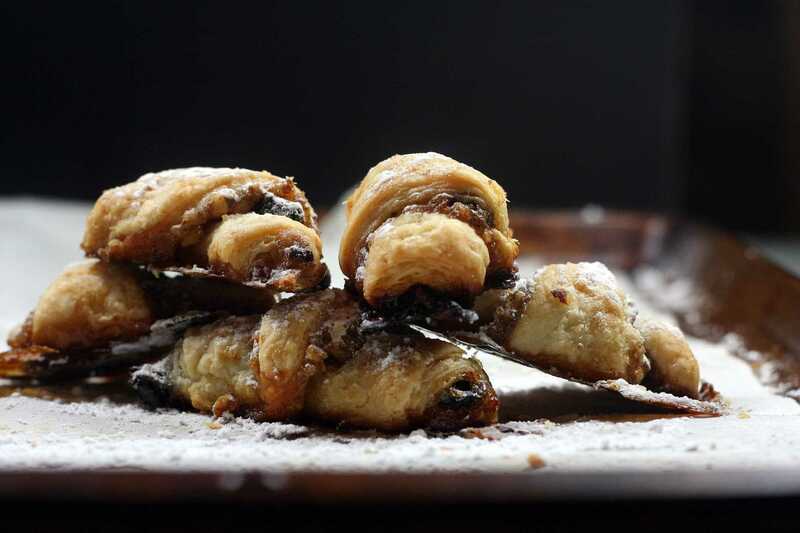 Rugelach is usually made with either a sour cream or cream cheese base! I love these cookies because the dough is perfect. The crust is flaky and light. The filling can be changed to any jams and nuts you choose! I believe in everything in moderation, so an occasional cookie will be okay because we all need a treat and a rugelach cookie does a lot to make me happy! I make a light dough using low-fat sour cream! For the filling, it is usually fig preserves and walnuts! For my son, I add chocolate chips, yummy either way! Having a cookie without guilt is necessary over the Holidays! Remember to take extra effort to exercise or walk a bit more because you are allowed a treat Eating is all about moderation and balance of a healthy eating, the occasional treat, and exercise! I LOVE SEEING AND SHARING YOUR CREATIONS! I HOPE YOU ENJOY MAKING THIS RECIPE! I LOVE TO HEAR FROM YOU IN THE COMMENTS! Any comments or questions, use the comment form below. If you love this recipe, it would be awesome if you gave it a 5-star rating! A wonderful pastry cookie made with a low-fat sour cream dough filled with treats ! Use jam or preserves of choice and walnuts to make a wonderful puff pastry like cookie. Perfect for the Holidays! Combine the flour and salt, in a food processor, and pulse several times. Cut the butter into 15 pieces and add to the bowl of the food processor. Pulse repeatedly, about 20 times. The mixture will become a fine powder. Check the consistency to avoid over-working the dough. Add the sour cream, pulse an additional 5 or 6 times. The dough will form a ball. Remove from the food processor and press into a 6-inch square. Wrap in plastic and refrigerate for about 1 hour. Divide the dough into thirds and shape into circles. roll each out to about 10-inch squares. Set a rack in the middle level of the oven and preheat oven to 350 degrees. Remove one circle of dough at a time, Place on your work surface, Place 1 tablespoon of the jam onto the dough, then scatter one-third of the raisins and one-third of the filling mixture onto the dough. With a pastry wheel, cut the dough into 12 wedges and roll each one up from the edge to the point. Arrange pastries on a parchment paper lined baking pan. Bake the pastry for about 30 minutes. Check them often as the sugar can leak and cause the bottom of pastry to burn. Lower temperature about 25 degrees if the bottom of pastry begins to burn. When pastries are done, cool briefly, then move the cookies to a cooling rack to cool completely. Sprinkle the confectioner's sugar onto the pastries. Store the cookies in a covered container. Adapted from How to Bake by Nick Malgieri! The best cookie we ever ate! I make these all the time now! I am so happy you love the rugelach! It is seriously a tasty cookie! was having a look for. You’ve ended my 4 day lengthy hunt! These look so yummy!! I bet my kids will like making these with me! Great pics! I LOVE chocolate Rugelach! especially with some raspberry jam to dunk it in. I am so glad, I hope you enjoy! I have never heard of this recipe before, but it sounds interesting! I wonder if you could substitute the fig or apricot for apple? Those look and sound amazing! I’ve never made anything like those before! I’ll definitely have to check them out! 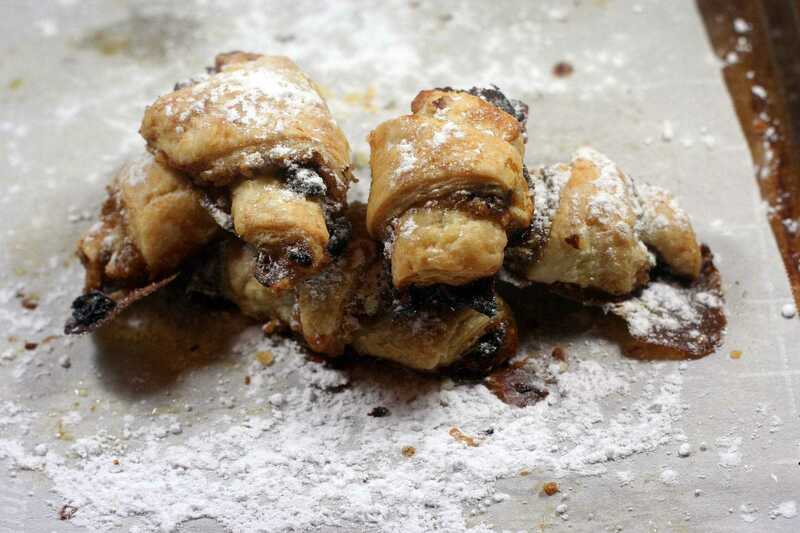 I’d never heard of rugelach before but…this recipe is so intruguing. I’d love to try it. I hope you try the rugelach recipe! Looks delicious and they seem easy to make. I bet you can fill them with just about anything. Absolutelt, my most versatile cookie recipe! I have never heard of this before! It looks delicious though! I love to find new cookie recipes, and will definitely be trying this one out! Happy birthday to your son! Thank you so much Heather! I hope you make this recipe and let me know how it worked for you! It has been so long since I have had rugelach. I love that you make it with figs, that sounds so tasty. What a great recipe. Definitely want to try this one out! The fig jam makes this so tasty! I hope you try it! Delicious! I’ve said it on Instagram and I’ll say it again, these are my absolute favorite! Your recipe seems like a fairly easy one, too, so I’ll definitely be trying it out! Aw, thank you so very much Kelly! it is an easy one to make ! Enjoy! These look familiarly like something we had as a kid but damned if I can remember what mom called them! I hope you try it, we love rugelach! Pinned this for later! 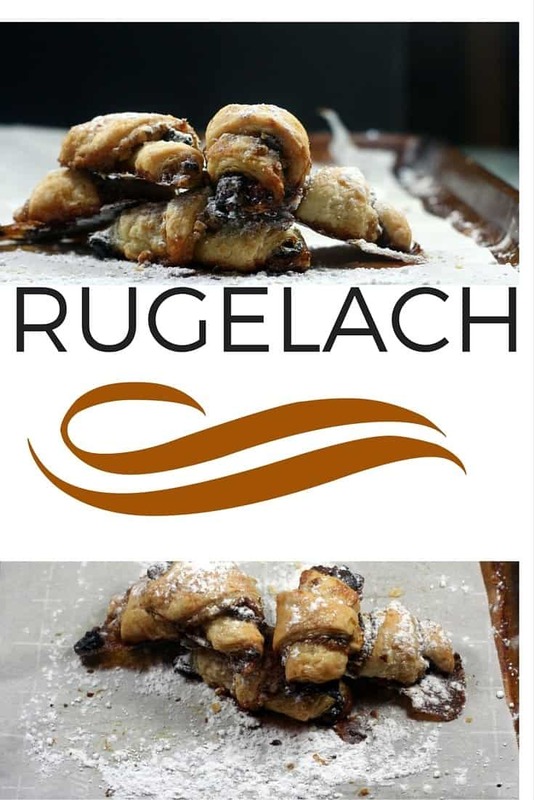 I have never tried rugelach but it looks amazing! thank you – I hope you do ! I am so glad – enjoy the recipe, it is yummy! I haven’t tried these before, but they look absolutely delicious! I may have to make them in time for the holiday! Yum! Never tried these but I definitely want to now! Oh man, just saw these before bed and now all I’m going to be thinking about all night are these! Totally love the apricot jam addition as I think it would be delicious! I have made something like that before. So delicious!! they sure are, hope you have a great Holiday! Rugelach is one of my all time favorite treats. I never tried making the dough with sour cream; I usually use the traditional cream cheese. I’m curious to try the sour cream instead. 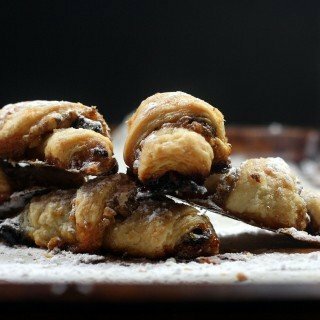 I’ve not heard of a Rugelach but it looks and sounds amazing 🙂 I’ve got to try this recipe! Oh Claire, I hope you do, it is so good – on my 4th batch to give as Holiday treats! I hope you give this recipe a try, its light and everyone always wants more! I have to admit that I haven’t tried Rugelach before, but they look really delicious! A perfect holiday treat! I love it, of course Claudette, what is another batch, I am already making a ton, it would be my pleasure! these are my so light and yummy! Yummy!! This would be perfect for Christmas and I’m sure my kids and family would love it. I see why this is such a favorite for you. Gosh that looks great! So many of my favorite flavors are in there. I like the sound of rugelach what country does it originate from? 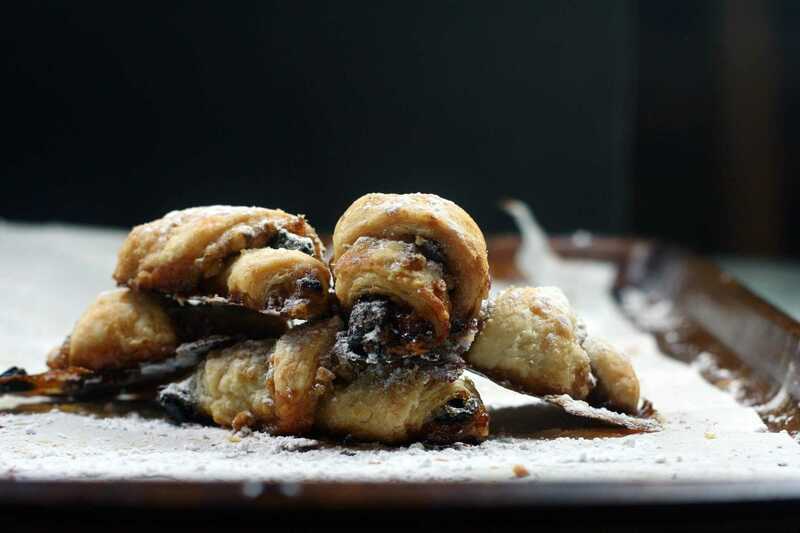 Rugelach is Eastern European, Jewish pastry, I am Irish, I just happen to love this pastry cookie, especially at the Holidays! I’ve never heard of these before! They look delicious! It’s really so lovely to look at and definitely perfect for the season! It looks light too, so that’s great. Thanks for sharing! You are very welcome! I hope you try the recipe! These look so yummy. I have never had one of these. Tara, these are amazing! I hope you make them- so much better than store bought as well! A cookie every now and again is okay! I haven’t had it in soo long! Maybe I’ll make some this month. I hope you try these, we just love them! Oh wow, these look DELISH!! Can’t wait to try! I hope you do, they are my favorite! These were a staple in my house growing up! They are so good.